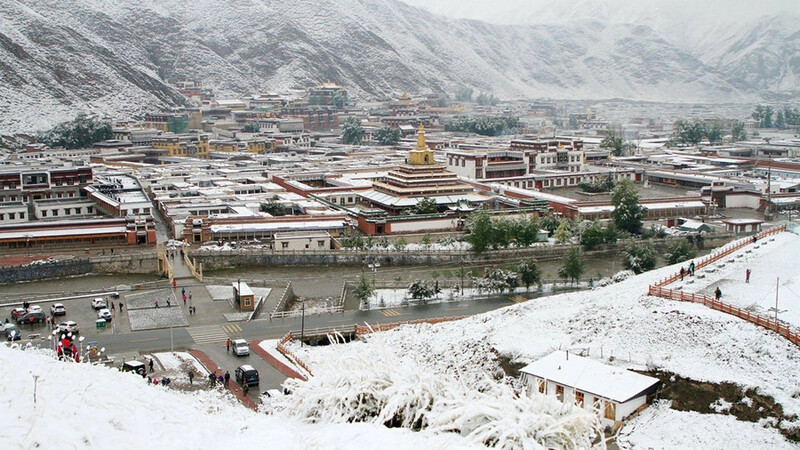 Labrang Monastery, one of the six great monasteries of the Geluk school of Tibetan Buddhism, is the most important monastery town of Tibetan Buddhism outside the Tibetan Autonomous Region. 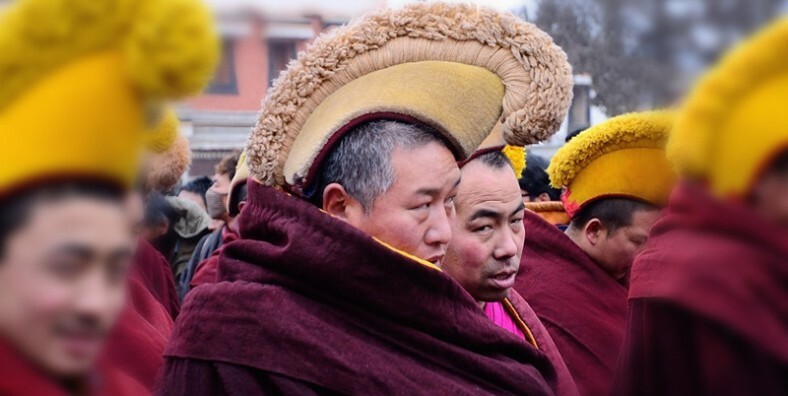 This tour will take you visit the most popular Buddhist monastery in Gansu – Labrang. 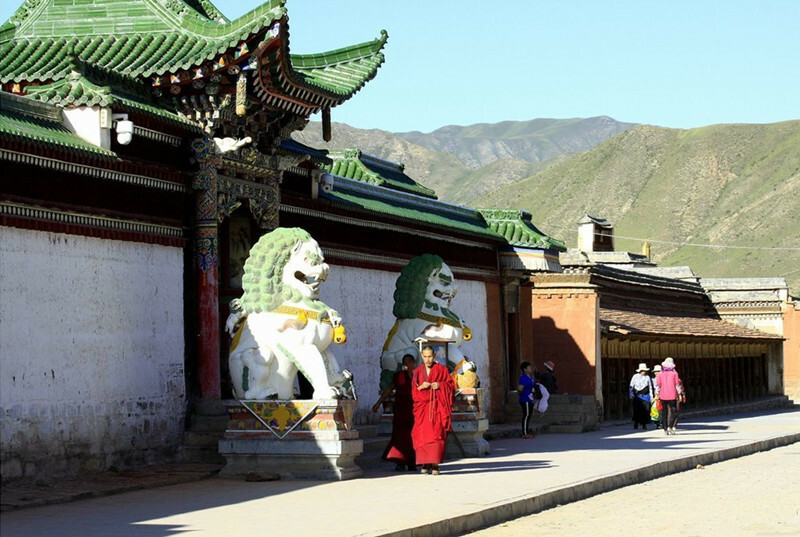 Learn about Tibetan Buddhism in Labrang Monastery. Enjoy stunning natural scenery along the way. Upon your arrival, tour guide will pick you up from airport or train station and then transfer to your hotel in Lanzhou city. Free and easy time for you to explore this city. In the morning, drive about 258km to Labrang Monastery at Xiahe. On the way, we will stop at Hezheng and Linxia for a visit. First visit Hezheng Museum of Paleontologic Fossils which displays a rich collection of paleontologic fossils to the visitors, including giant rhinoceros animals, platybelodon animal groups, equus animal groups. Then move on to Linxia to visit Xiguan Mosque. After the visit, continue driving to Xiahe for overnight. Today we will visit Labrang Monastery. 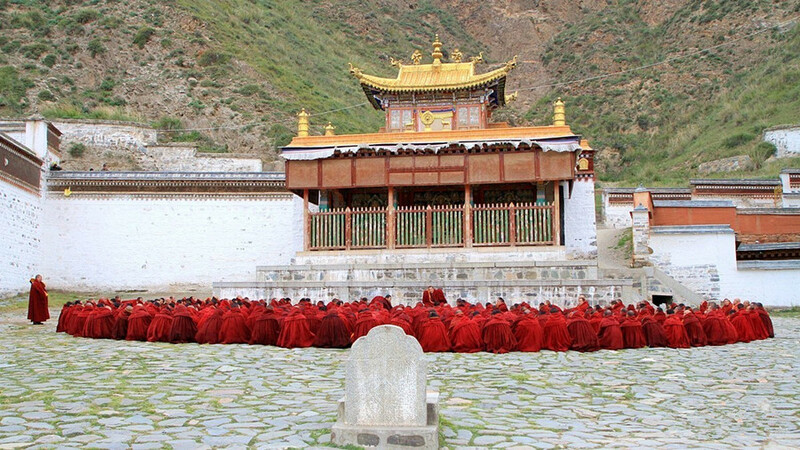 It is one of the six great monasteries of the Gelug school of Tibetan Buddhism, which has become known to visitors as the film’s shooting place of “World Without Thieves”. Then drive to visit the Sangke Prairie which is famous for its excellent pasture and frequent magnificent Buddhist ceremonies. After that, we will drive back to Lanzhou and check in the hotel for rest. In the morning, visit the Waterwheel Garden on the southern bank of the Yellow River in Lanzhou. Then transfer you to Lanzhou airport or train station for your next destination.